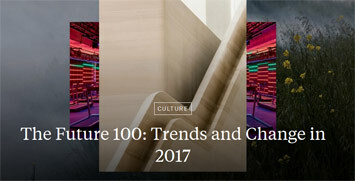 The Future 100 report for 2017, the outstanding annual JWT Intelligence snapshot of emerging trends, spans culture, tech and innovation, travel and hospitality, brands and marketing, food and drink, beauty, retail, health, lifestyle, and luxury. Here are its food and beverage highlights. As it looks ahead to 2017, JWT says markets are confident, even though assumptions have been questioned and narratives overturned. Amid the massive shifts that are sure to follow, there’s never been a more important time for brands to keep tabs on forecasts and emerging consumer behaviours. The technology industry continues to exercise enormous cultural and economic power, but finds itself entering unknown territory on multiple fronts. Markets that have long been overlooked or misunderstood are about to get their due. Advertising and marketing are embracing aspects of femininity that were previously taboo. And consumers are seeking new forms of escapism, fantasy and insight. As consumers have come to seek natural, wholesome alternatives at every turn, the alcohol industry wants to be next in line to provide low-calorie, healthy options. Craft brewers and major labels alike are lining up to offer these new wellness branded products. In March, the Wachusett Brewing Company rolled out Nauti Seltzer, an attempt to diversify its brand in the crowded craft beer market. Anheuser-Busch InBev acquired SpikedSeltzer in September, while the Boston Beer Company launched Truly Spiked & Sparkling in April. The alcohol sector is playing off the meteoric rise in interest in flavoured sparkling waters. Flavoured sparkling water brand LaCroix has become an unlikely cult hit, with sales exploding from $65-million in 2010 to $226-million in 2015. Why it’s interesting: Although arguably the least likely to be thought of as a “healthy” sector, alcohol’s foray into health-conscious branding shows just how thoroughly consumers have adopted the wellness lifestyle. Fog Point, a new vodka by small-batch distillery Hangar 1, announces itself as “a true expression of California, distilled”. The spirit is created using vodka distilled from premium wine, blended with water gathered from fog catchers that harvest San Francisco’s well-known haze. The result, the brand says, “yields an extraordinarily crisp, pure, and gluten-free sipping vodka with elegant hints of pear, citrus, and honeysuckle”. Producers of baijiu, China’s staple grain alcohol, are eyeing overseas markets for expansion as government corruption crackdowns have dented the local market. Experimentation with the drink, often considered an acquired taste, has caught on particularly in the US and Europe. “If you looked at the US five years ago, you would find less than five bars that were working with baijiu, and now there’s probably dozens, if not hundreds, that are working with it,” Derek Sandhaus, author of Baijiu: The Essential Guide to Chinese Spirits, told the South China Morning Post. Not quite the white whiskey that rode moonshine fever to success a few years back, nor the stronger spirit typically associated with whiskey connoisseurship, a new in-between category of lighter whiskey is catching on with younger drinkers. Still packing a flavourful punch, but not overpowering, these “whisper whiskeys”, as christened by Bloomberg Businessweek, are ideal for summer sipping. They include High West Valley Tan with its “bright, grassy aromatics”, and Compass Box Enlightenment Scotch, which “mingles a gentle waft of smoke with fresh apple and vanilla”. Why they’re interesting: “Small-batch” and craft no longer impress — today’s cocktail trends are emerging from fine flavour distinctions, novel production techniques, and spirits of remote origin. “When diet is wrong, medicine is of no use; when diet is correct, medicine is of no need,” says an ancient Ayurvedic proverb that may help explain why this diet is catching on among today’s health-conscious consumers. Ayurvedic eating is an ancient Indian medical practice that uses natural ingredients such as ginger and ghee to promote balance and happiness. It involves practices already in vogue among the health-conscious, including juice cleanses and oil pulling. It can even be customised to address the balance of energies, called “doshas”, in a person’s body. In fall 2016, New York City’s first Ayurvedic restaurant, Divya’s Kitchen, opened in the East Village. If the explosion in popularity of turmeric is any indication, there’s sure to be more to follow. Turmeric, a bright-orange spice used in the Ayurvedic system to fight disease, is one of today’s trendiest superfoods thanks to its powerful anti-inflammatory powers. It was ranked as one of the year’s top food trends by Google, and can be found in lattes and juices at hip eateries including Los Angeles’ Sqirl, where chef Jessica Koslow ranks it among her favourite ingredients. Why it’s interesting: Ayurvedic eating aligns with the next-gen wellness consumers, who are looking to foods with a function. In a Vanity Fair interview in March, newly minted ‘ganjapreneur’, Whoopi Goldberg, expressed frustration that women were still considered a niche market in the medical marijuana industry. “This niche is half the population on the earth,” she laughed. Whoopi & Maya, a collaboration between Goldberg and Maya Elisabeth, launched in April 2016 with a line of cannabis-infused edibles designed to treat menstrual cramps. Foria, a company perhaps best known for its cannabis-based lube Foria Pleasure, also launched a cannabis suppository this year to treat cramps. Today, however, women in the marijuana market are looking beyond remedies for menstrual pain. In fact, marijuana may be on its way to overtaking wine as the hip indulgence of choice. In West Hollywood, White Rabbit High Tea hosts a chic tea party for women, with a focus on vaporizers rather than hot drinks. Gourmet edibles, including Défoncé dark chocolate bars and Angel Haus cannabis ice cream, mean you can also bring the party home. Marijuana accessories are even getting a high-end feminine makeover from brands such as AnnaBís, who designed a chic handbag with concealed pockets for lighters or vapes. Women are also angling to play a key role in cannabusiness. In LA, Cheryl Shuman, founder of the Beverly Hills Cannabis Club, has been dubbed the “Martha Stewart of Marijuana” for her work with groups including Moms for Marijuana. In Colorado, Jane West runs Edible Events, one of the state’s premiere pot catering companies; she’s also the founder of Women Grow, a networking group that aims to make female leadership a key component of the growing cannabis industry. Why it’s interesting: The perception of female weed smokers is changing radically: TV shows, such as 2014’s Broad City or this year’s Mary + Jane, illustrate that women can be smart and stylish, and still unwind with a joint. With recreational marijuana newly legalized in California, Maine, Nevada and Massachusetts, it’s clear that the drug doesn’t suffer the same stigma it used to. Moley has created the world’s first robotic kitchen, which is set to launch for consumer purchase in 2017 and claims to include an “iTunes-style library of recipes”. Kitchens and their appliances are becoming smarter, making cooking more intuitive and complex meals more accessible. Samsung launched a collection of smart kitchen appliances in November 2016, including wall ovens and cookers, adding to its SmartThings Hub portfolio. Earlier this year, the brand launched its Family Hub refrigerator, which is integrated with a touchscreen service called Groceries by MasterCard, allowing users to shop for food directly from the fridge. Silicon Valley–based SmartyPans launched in January 2016 and uses apps to guide the user through recipes — the smart part being that the pan also tracks the nutritional information of what it’s cooking. Other smart appliances on the market include the June Intelligent Oven, with “precision sensors” that allow for controlled cooking, and the SmartHub by Oliso, a portable cooker that “brings the capabilities of the professional kitchen to the home,” according to the company. Why it’s interesting: The smart appliances market is forecast to grow at a compound annual growth rate (CAGR) of 15.4% between 2015 and 2020, according to research company Research and Markets. Whether it is simply a pan or an entire robotic kitchen, companies are investing in the smart kitchen, giving consumers the tools to serve up the perfect, healthy menu. Amid a wave of interest in natural ingredients and transparency from food companies, even vegan cuisine is evolving beyond soy products to more natural and unprocessed alternatives. Jackfruit, a spiny-shelled Asian fruit that’s closely related to the fig, has been popping up on menus around the country as the fruit’s texture makes a convincing, all-natural alternative to pork. Brooklyn pop-up Chickpea & Olive makes its barbecue jackfruit sandwich southern style, with pickles and fried shallots. In London, Club Mexicana makes jackfruit tacos, while Seattle’s No Bones Beach Club has the fruit in flautas form. It has even appeared on the menu at authentic barbeque spots, including Sneaky’s BBQ in San Francisco. Why it’s interesting: New natural vegan alternatives don’t stop at jackfruit. 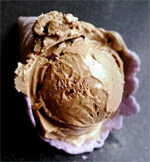 Try coconut jerky, cauliflower nuggets, or any of the nut milks currently sweeping the country. As even vegan foodies seek more natural, unprocessed options, “plant butchers” will finally have the chance to shine. Not content to dominate e-commerce, Amazon is building “small bricks-and-mortar stores that would sell produce, milk, meats and other perishable items that customers can take home,” according to the Wall Street Journal. A Seattle-area location is in the works, and reports suggest the service will be available to AmazonFresh subscribers, who currently pay $15 per month for the company’s grocery delivery service. Walmart, meanwhile, began testing curbside grocery pickup last year, and has recently rolled out the service in Portland, Oregon and other markets. The stage is set for increasingly pitched battles between the two retail giants. While Amazon possesses the stronger e-commerce delivery network, Walmart has the advantage in terms of store footprint, with its 3,500 US supercenters ready for conversion into pickup points (70% of Americans are said to live within five miles of a Walmart). Why it’s interesting: As click-and-collect has become a more common model for e-commerce, consumers have become familiar with the concept and will use it if it can be shown to add to convenience at little cost. The victor in the drive-up wars could rapidly disrupt traditional supermarket shopping. Blame Silicon Valley. Following the optimised nutrition trend (embodied by brands such as Soylent, featured in last year’s Future 100 report), startups are using so-called “bio hacking” to engineer products that offer brainboosting properties without negative side effects. The Nootrobox startup, fresh from a $2-million seed investment by Andreessen Horowitz, has launched Go Cubes, a new chewable coffee gummy candy product. Packaged in cartoonish, candy-like wrapping, Nootrobox Go Cubes are made with L-theanine, B6, and methylated B12 that “improve caffeine for enhanced focus & clarity”. Two cubes are equal to an entire cup of coffee, according to the brand. Nootrobox describes Go Cubes as “coffee for astronauts”. Hacker’s Brew, a nootropic coffee, is another recent addition. The coffee claims to help drinkers reach peak cognitive performance and enjoy cumulative long-term benefits. “Hacker’s Brew starts with the highest-quality ingredients, including organic coffee, coconut cream and cacao. We then added a good dose of adaptogens, and extended the half-life of caffeine so that it lasts longer. Full-day performance, with the same amount of caffeine as a normal cup of coffee—this is not your ordinary coffee experience!” promises the company. Why it’s interesting: Self optimisation is the watch word of the wellbeing movement, which is now moving beyond natural enhancement to body “hacking”, and rising comfort. With the desire to both chemically stimulate and self-improve while still emphasising natural, consumers continue to want it all. Last year’s Future 100 report looked at algae, a protein substitute with game-changing potential. As the market for plant-based protein alternatives remains strong, these three under-the-radar protein sources could be the next to break into the mainstream. Pea protein is sustainable and non-allergenic. It’s made from ground dried yellow peas with no added preservatives — exactly what the name implies. In 2016, health brands such as Bolthouse Farms and Bob’s Red Mill began to feature peas. The real story, however, is the Beyond Burger, the much-hyped burger alternative that even bleeds like real meat. It’s made from pea protein isolates and recently became available in the meat section at Whole Foods Market. Move over, seaweed, there’s a new floating superfood in town. Duckweed is frequently cited by scientists as a potentially key food source of the future: it’s protein rich and boasts more amino acids than other plant-based proteins (including soy). Consumer awareness of duckweed is low, but Florida-based Parabel hopes to change this with the launch of Lentein, a duckweed-based protein powder that won the 2015 Innovations award at the Institute of Food Technology. It should hit the shelves by 2017. Shiitake mushrooms are already popular worldwide, so why not explore their full potential? That’s the thinking behind MycoTechnology, a Colorado-based food tech company that has engineered a strain of the fungus which produces an above-average protein load. The resulting shiitake powder, called PureTaste, has a neutral flavor that works in everything from breads and tortillas to sauces. Bonus: the powder has a lower carbon footprint than plant crops and contains 79% protein. Why they’re interesting: By 2050, the United Nations projects a global population of nearly 10 billion, which would push our current agricultural system to its limits. These companies are on the cutting edge of the battle for the sustainable protein of the future. The past two years have been defined by a backlash against fast-food giants offering cheap food laden with chemicals, sugar and soy — not to mention sodas. Once heralded as wonders of food standardization and affordable quality, this side of the industry has been replaced by a message that emphasizes the “artisanal” and handmade, as companies seek to reassure consumers that goods are healthy. A new crop of restaurants is now seeking to revive fast food by revisiting its roots. “There was a time when fast food was house-made and nutritious, when the ingredients used were unadulterated and understandable. We’ve turned that past into the present,” reads the website of Starbird, a recently launched California chicken restaurant. Menu items include Chicken and the Egg, a sandwich made with crispy chicken, egg, organic American cheese, bacon and a house-baked roll. The Chicken Feed breakfast dish features Greek yogurt, local fruit preserves and “small batch granola.” Starbird is one of a few recent additions to the fast-food market, mainly coming from California: Loco’l, launched by Daniel Patterson and Roy Choi, brings healthy locally sourced fast food at an affordable price point to California residents. The aesthetic of early American fast-food restaurants is also being revisited. Torchy’s Tacos, launched in Austin, Texas in 2006, references mid-century American roadside buildings and signage. A new Austin branch that opened in 2016 on the site of a 1970s burger joint features a distinctive zigzag profile supported by red-painted structural columns. Why it’s interesting: It’s the latest sign that we’re entering a “post-artisan” era where an apron and a mustache no longer necessarily denote quality. These restaurant concepts also share more than a hint of Americana, celebrating early fast food restaurants where affordable quality was the mission. They formed a key part of American culture in the 1950s and 1960s and were a source of national pride because standardization allowed them to produce cheaply at scale. As many businesses place social good at the core of their DNA, embracing this early stage in American fast food is a creative way to offer quality at accessible prices for consumers of all incomes.